Windows Phone 7 NoDo Update Delayed Until "Latter Half of March"
Microsoft today provided some insight into how updates make their way through the testing phase to our phones. Of most importance to our readers, they have announced the ‘NoDo’ Windows Phone 7 software update has been pushed back to the “latter half of March“. Eric Hautala, GM Of Customer Experience, cleared up a number of misconceptions regarding updates along with information as to why the delay. Simply put, they want to take some extra time and get things right. I’ve seen a lot of speculation on blogs and forums lately about whether carriers can “block” an update. We work closely with carriers to test and schedule updates. They may ask us for a specific date to start an update. They may ask for updates to be bundled together. But you should ultimately receive all the updates we send out. Glass half full or half empty? The update is not coming this week, but it seems as if the company is learning from mistakes with the first update and this post is the type of transparency we have all be craving. Over time, the process should improve and that’s a good thing. With all the goodness that’s coming with Mango, we wouldn’t delays that could have been avoided. Hang in there folks. Copy and paste is coming soon enough. 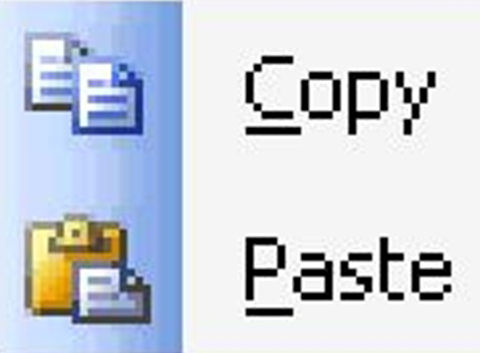 I’ve yet needed to copy and paste anything. Any idea when the Dell Venue Pros will get any of the updates on Tmobile? Are the updates being pushed via carrier preference or by region or by make and model….? Unfortunately, the title of the article is slightly misleading. If you read the blog post it says that they will “start” to release update at the end of March. HOWEVER, the release will be staggered, and MS “works closely with the carriers”, and the carriers can request a specific date, etc. So, it is distinctly possible that a group of owners (e.g., ATT in the US) might wait months for the update. And you will win my respect. And I will be hard to recapture. Making promises and living up to them is extremely difficult because there are always extenuating circumstances beyond our control. The goal should always be to under-promise and over-deliver. But all too often sales people and companies fall into this trap. It’s in our nature to get excited at the prospect of a new endeavor and it takes incredible discipline and strategy to curb that enthusiasm. But this is critical when it comes to managing expectations and winning respect. No promise is better than a promise not kept. – When Apple launches a new product – it is full of surprises, and I respect that. – When Virgin Airlines launched – it was full of surprises, and they won my respect. – When 3M launches a new product – it is full of surprises, and I respect their innovation. – When a company announces the launch date of an innovative million dollar website, and it is delayed (with nothing innovative), it can only be a disappointment. – When a software company makes promises about a new and better browser that pales in comparison to the market, I’ll be surfing elsewhere. – When a salesman promises a certain level of success to a client, and comes up short, it destroys their credibility and trust. We are living in a world that moves faster than any other period in history. A technological revolution. Innovative ideas spread like a virus. But only if the idea is innovative, remarkable and exceeds our expectations. MS- you need to fix this NOW.